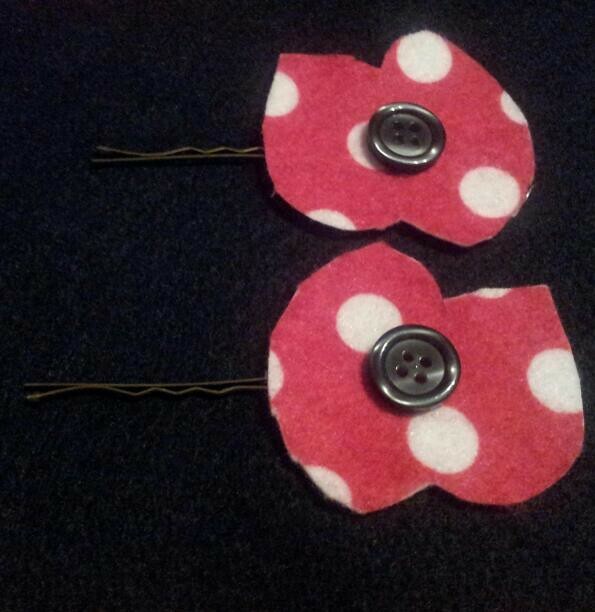 I wanted to make the girls Remembrance Poppy Hair Clips to wear with their Poppies this week. I was planning to sew them as I’ve previously made their flower hair clips, but time is going too quickly so I decided to whip them up more quickly with the glue gun. 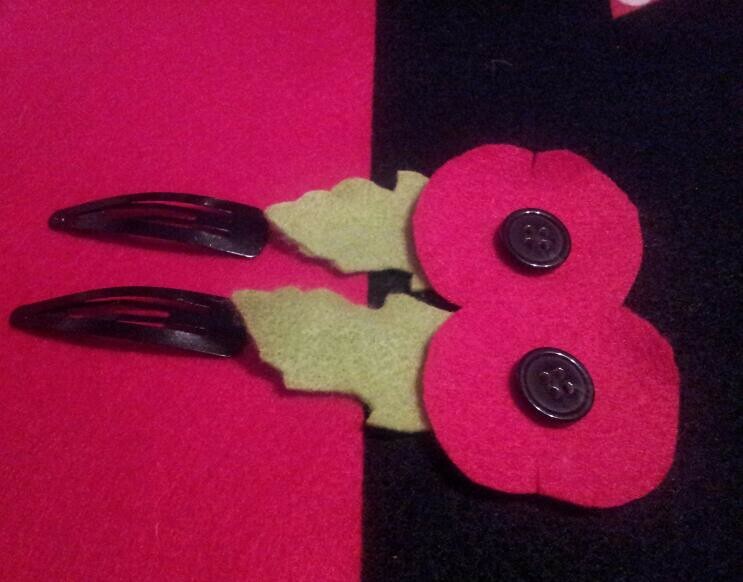 I traced around the red poppy shape twice with my tailor’s chalk onto red felt. 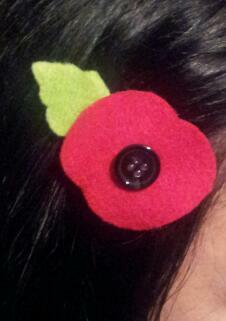 I did the same with the poppy leaf onto the green felt. This was the best shade of green that I had in my felt stores. It is more suitable for “Spring Flowers”, but it will do! 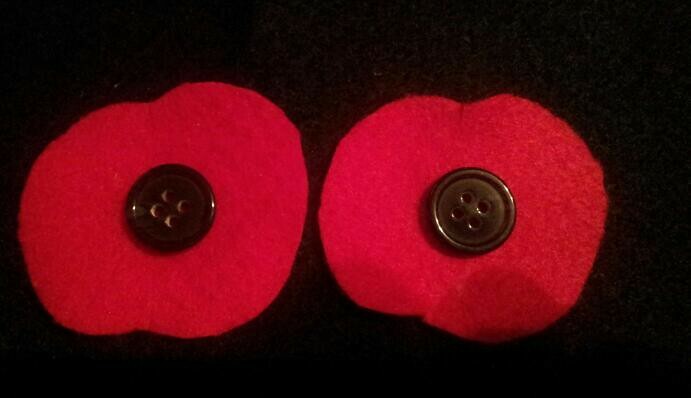 I chose a black button for the poppy centre. 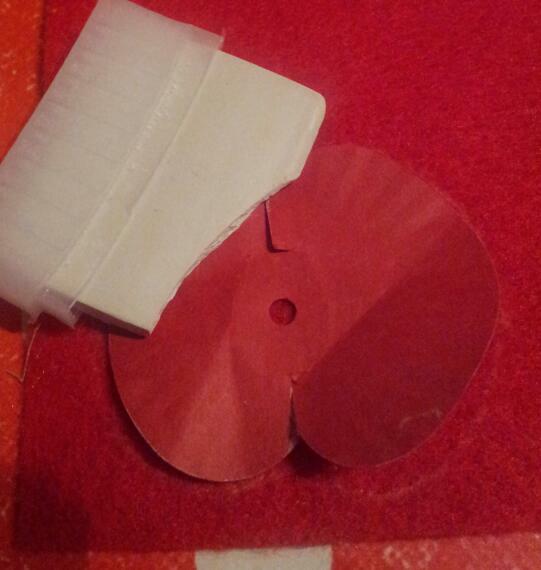 I then hot glued the button to the centre of the red poppy. 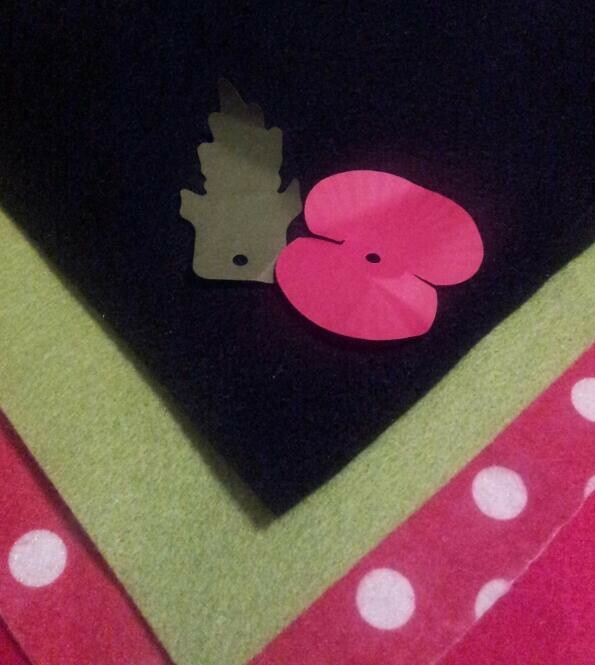 When that dried I glued the red poppy to the leaf, and then finally the leaf to the hair clip. I used a black slide on this occasion. When I make clips for myself, I stick the designs onto a Kirby grip, I find these work better with my thick hair. 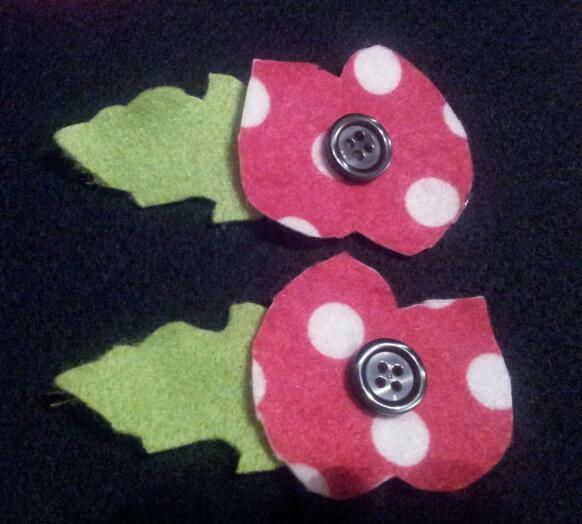 I have a “Spotty” Children in Need Party with Isabelle tomorrow, so I did think that I could make red spotty poppy hair clips for me. However, they didn’t work very well, the spots on this felt pattern are too big. I may wear my ladybird ones instead! 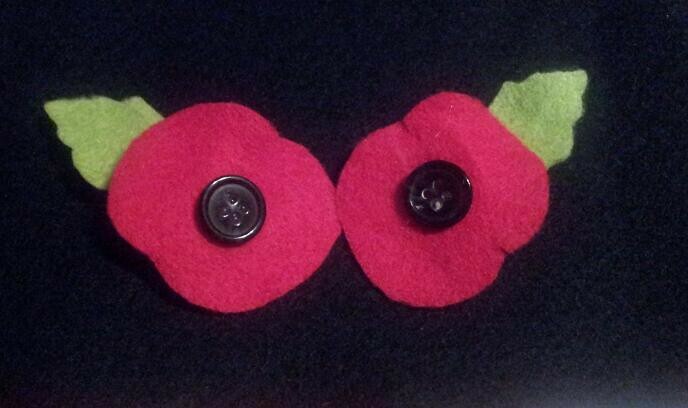 Danny will be marching with Cub Scouts in the Remembrance Parade on Sunday and then taking part in the Service.